Northern Colorado is Colorado’s fastest growing region and it’s easy to see why. Abundant sunshine, a friendly and diverse business climate, fantastic educational systems, ample recreational opportunities, world class healthcare, and endless entertainment options await you in this comfortable and tranquil environment. Northern Colorado includes Fort Collins, Loveland, Windsor, Greeley, Wellington, LaPorte, Red Feather Lakes, Livermore and many other small towns. Start your Colorado home buyer research here to see if Colorado is the right place for your lifestyle! What’s happening in Northern Colorado? Is it a good time to buy a home? Build a home? Start your Colorado home buyer research with local news to see if northern Colorado is the place you want to live! Colorado home buyer research starts with stats. 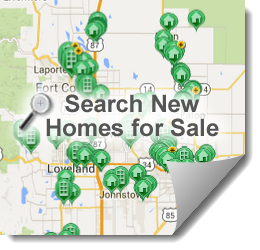 Find details of Fort Collins, Loveland real estate market statistics here. New Construction is back and booming in Northern Colorado! With new developments and sites across the region, you’re sure to find a place perfect to you. Colorado home buyer research is easy for new construction buyers. Simply click the link below for a map of all the new construction sites in the area.